Ingrid made these absolutely amazing blocks for her grandson for Christmas (I hope he is not peeking!!!). They use many different sets from Bunnycup - so I have listed a few of the sets. A stunning project! Florence also sent in these sweet bibs she made with Snails Applique and Farmyard Applique. Adorable! Florence also sent in this picture of a bib she made using Farmyard Applique designs. Sweet! Theresa made this absolutely adorable quilt using Farmyard Applique, Hush Baby and Little Faces Too designs. Florence sent in this picture of a darling bib she made using Farmyard Applique designs. Julie sent in this darling shirt she made using a Farmyard Applique design. Kathy sent in this stunning quilt she made with Farmyard Applique designs. Kathy has a terrific website so be sure to have a look! Kathy sent in this amazing quilt she made with Farmyard Applique and Whimsy Frames and Borders Designs. Kathy has a great website so be sure to have a look! 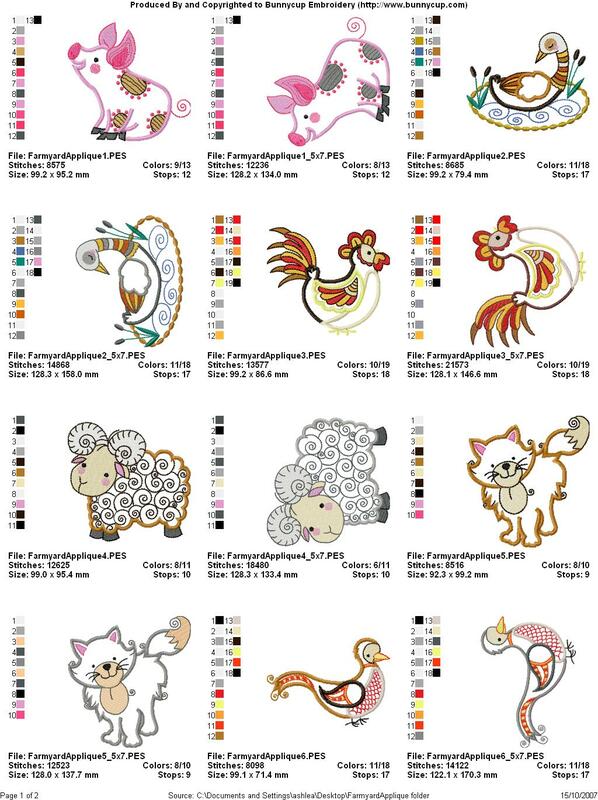 Fran was super busy making these products for her shop using designs from Farmyard Applique. Fran has a great shop, so be sure to have a look! Robin made this pretty burp cloth using a design from Farmyard Applique. Fran made this sweet bag using a design from Farmyard Applique. Fran has a great shop, so be sure to have a look!